This week we saw gold prices remain steady at around $1,300 an ounce as a weaker U.S. dollar and accommodating decisions by the Fed offset worries about the strength of Chinese demand and selling of gold-backed funds, palladium prices surge as the crisis in Ukraine threatened supply, learned of seven reasons China is becoming the world’s number one producer and consumer of gold, and found that women participate in 401(k) plans at lower rates than men. Investopedia also provided an excellent explanation of how to avoid taxes on IRA rollovers, what a transfer is vs. a rollover, and how rollover rules have changed over the years. 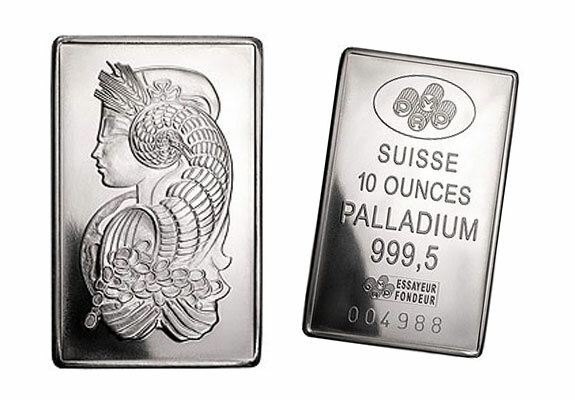 Last week we learned that automotive demand and air quality concerns were driving up the price of palladium. Our article also mentioned that should the crisis between Russia and Ukraine escalate and threaten palladium supply, prices could go up even more. Exactly that occurred, and in response palladium prices surged. Urbanization: China has reached 170 cities with a population of more than one million. The middle class in these cities is currently at 300 million people, which may grow to 500 million in six years. These individuals have more disposable income. Savings: Chinese bank accounts currently hold an estimated $7.5 trillion. The Chinese prefer physical gold over all other forms, and new gold investment options are coming out. Jewelry: After almost tripling in size over just a decade, China has quickly become the world’s largest jewelry market, accounting for 30% of all global demand. Consumer sentiment: Not only do the Chinese use gold for special occasions and gift-giving, but 80% of consumers surveyed in the report said they planned to up their spending on gold jewelry in the next year, with the sentiment that they will have more disposable income and gold will maintain its value in the long term. Electronics: Industrially, gold is most commonly use in electronics, which have seen a huge demand increase in China in the past couple of years. Holdings: At the end of 2013, China became the world’s sixth largest holder of gold bullion, meaning gold makes up 1% of the country’s official reserves. Production: Over the last 10 years, China has become the world’s largest source of mined gold. Wells Fargo discovered in a study that 49% of men and 43% of women enroll in their employer-sponsored retirement plan. A study by Fidelity Investments also found that 19% of women hold primary responsibility for long-term retirement decisions, up from 9% in 2011. Despite their lack of participation in 401(k)s, those women that do have one hold more diverse investments within it than men. This week we saw the effects geopolitical tensions and supply threats can have on precious metal prices, how new emerging markets in particular countries can affect gold prices on a global scale, and gender gaps in investing. Each of these events and findings reiterate the importance of investing in a self-directed Gold IRA. Gold provides a safe haven from world events out of your control that can threaten the value of fiat currencies, has multiple attractive uses in different international markets, and gives women control over their investments in a world where they are sometimes underestimated by financial advisors. Consider setting up a Gold IRA with American Bullion and take charge of securing your financial future. Call 1-800-326-9598 to speak with a precious specialist, or request your Free Gold Guide today.